Copywriting is a MILLION Dollar Skill. If you want to make REAL money in ANY kind of home business, sponsor as many reps as you want, and make cash “on demand” almost any time you want… then all you need to do is learn how to write a simple letter (or email), that persuades people to buy. Become the #1 residual income earner in his primary opportunity. Make over $12 million online, and up to $1.4 million in less than 7 days. Personally sponsor 4 of the top 5 earners in his company. Produce at least 500 leads for FREE, every single day. Build the world’s largest social network for home business owners. Drive more traffic to even his “little” sites than most Fortune 500 companies. … And How YOU Can Learn To Do The Same. 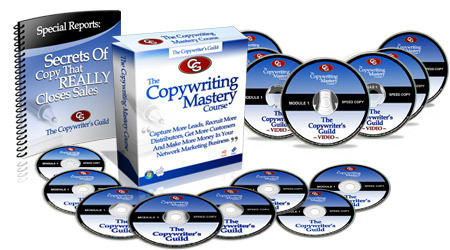 Copywriting is the “big secret” of almost every 6 and 7-figure networker in the industry. Instead of spending hours “dialing for dollars”, doing grunt “manual labor” that steals time you could be spending with your friends and family… you just put a sales letter online (or email it to your prospects) and your “work” is done for the day. You can watch TV, play with your kids, take your spouse for a romantic night on the town or do whatever you want.